This elegant Chesterfield Set of Queen Anne Armchairs with two Footstools. Made in the United Kingdom from 100% genuine leather. 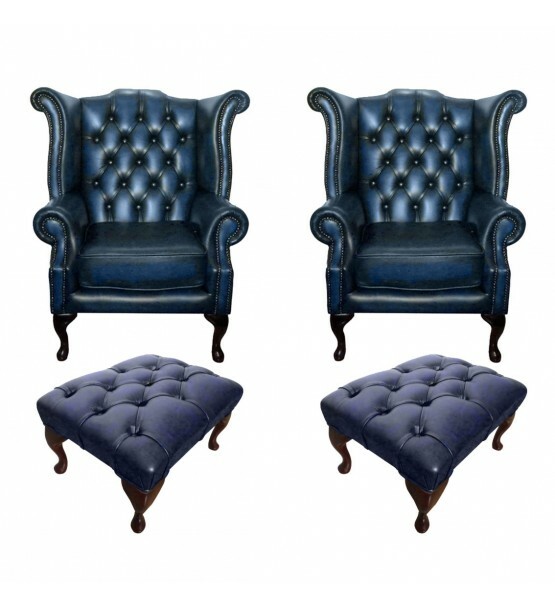 The Queen Anne is a high back armchair with roll top wings and curved arms has metal stud beading around the arms of the chair and has matching Footstools.